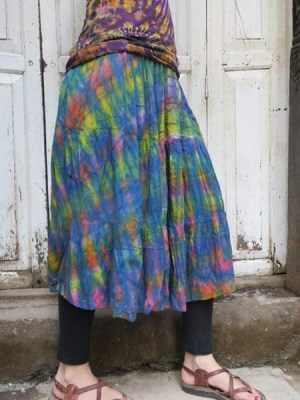 Boho skirts made in Kathmandu, Nepal. 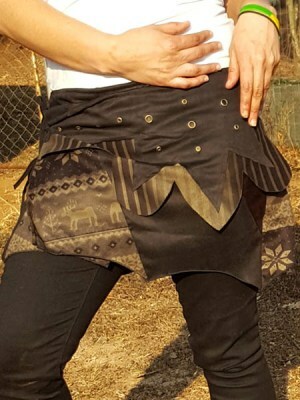 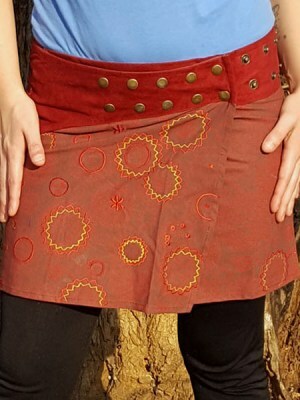 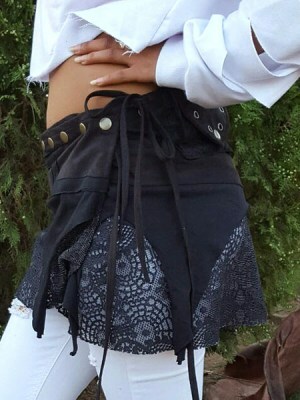 Our stunning boho skirts range makes use of various dying methods, done by hand such as stonewash, over dye and print. 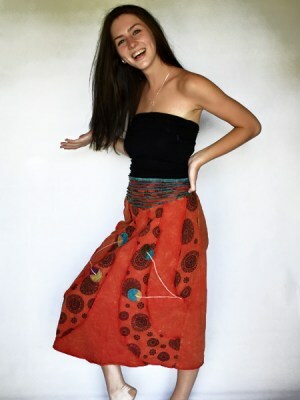 We use cutwork, tie-dye, block print, patchwork and mix various fabrics together. 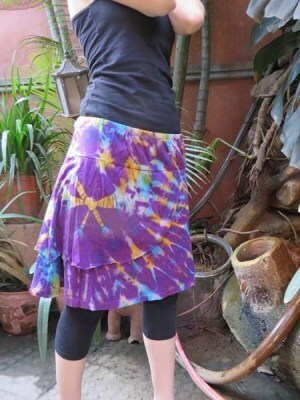 Most of our range of hippie skirts are made from cotton and the many of the processes each top goes through are done by hand. 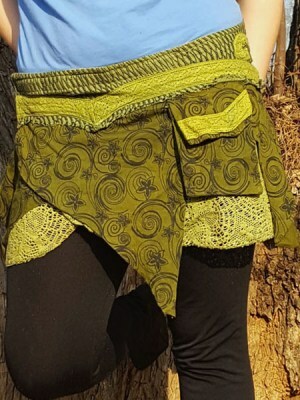 Our pys-trance minis, hippie and boho designs are perfect for either the winter, worn over leggings or a pair of jeans, and summer just as minis.